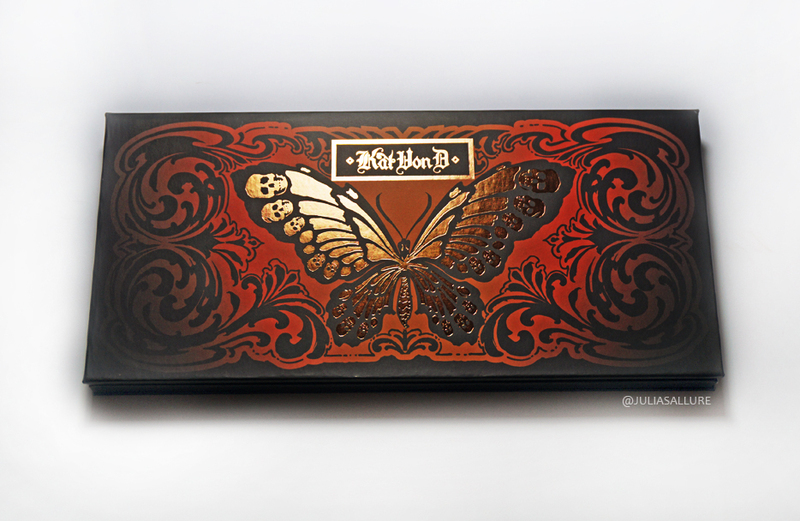 I recently purchased this beautiful Eyeshadow Palette by Kat Von D called “Monarch Eyeshadow Palette”. 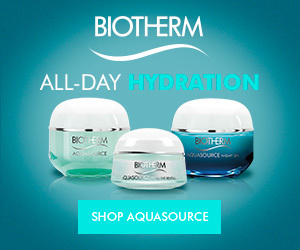 I purchased it from my local Sephora. 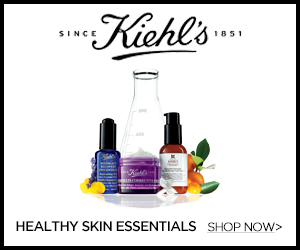 It retails for C$55.00//US$46.00. The palette has a mix between warm and cool shades. There are three larger base shades found at the top which I really appreciate. 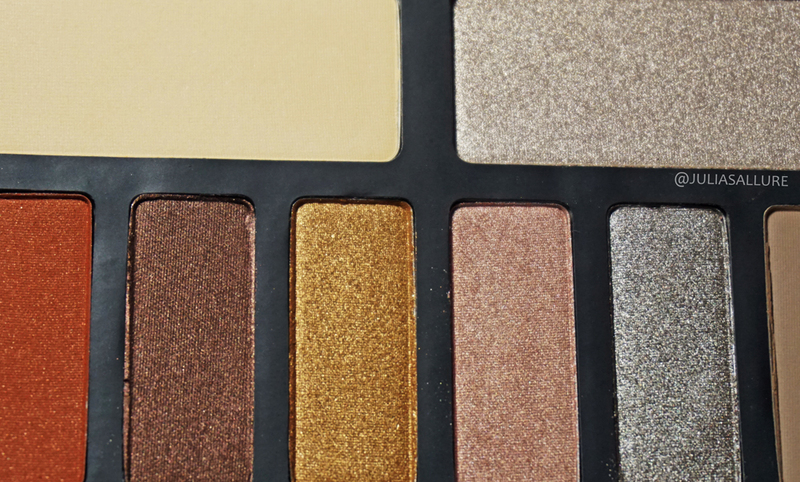 The palette has a mixture between matte, satin and metallic shades. 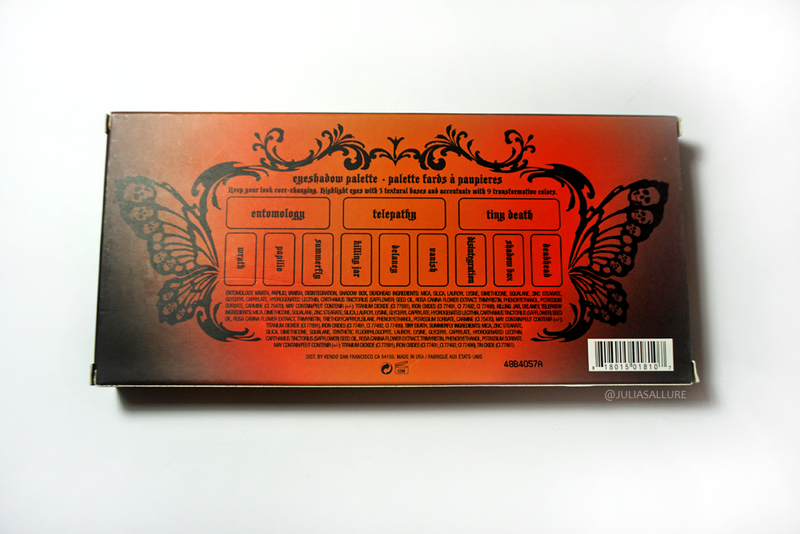 Here is the actual palette.. it looks identical to the package it comes in. 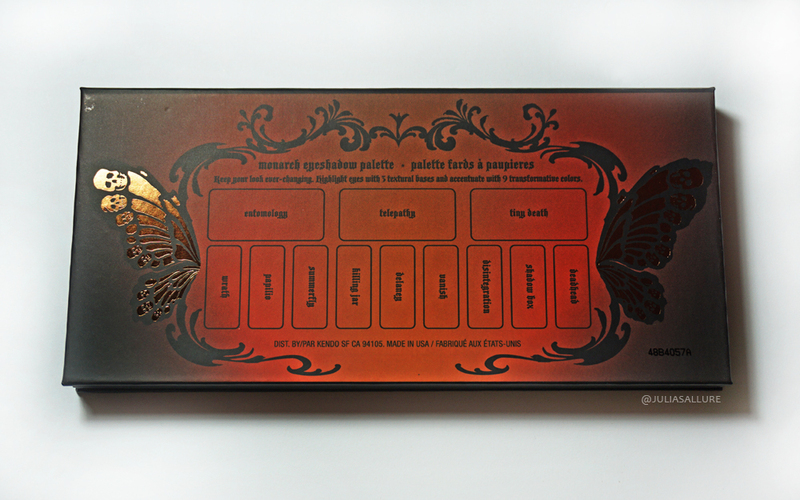 The shades of each colour are written on the back of the palette which is nice to have for reference. 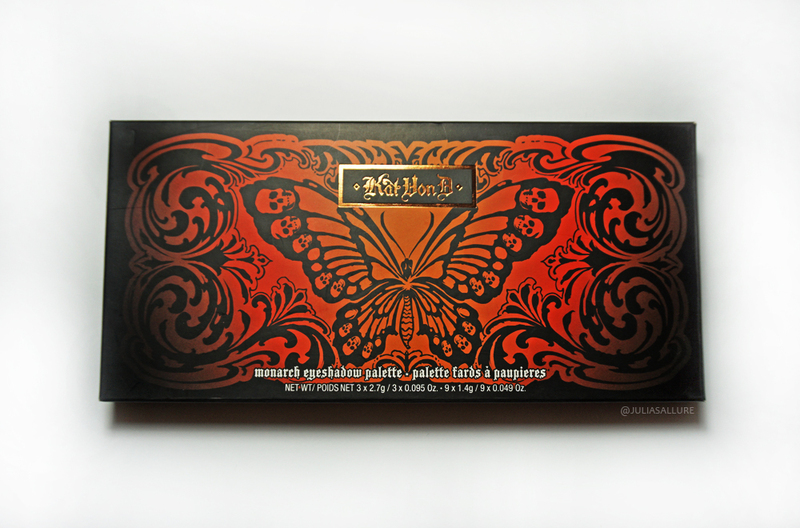 The palette itself is sleek and travel friendly. As you can see, most of the shades have some sort of shimmer to them. There are a few true matte shades. Here are the top three base shades which are also the largest shades in the palette. I really adore them. 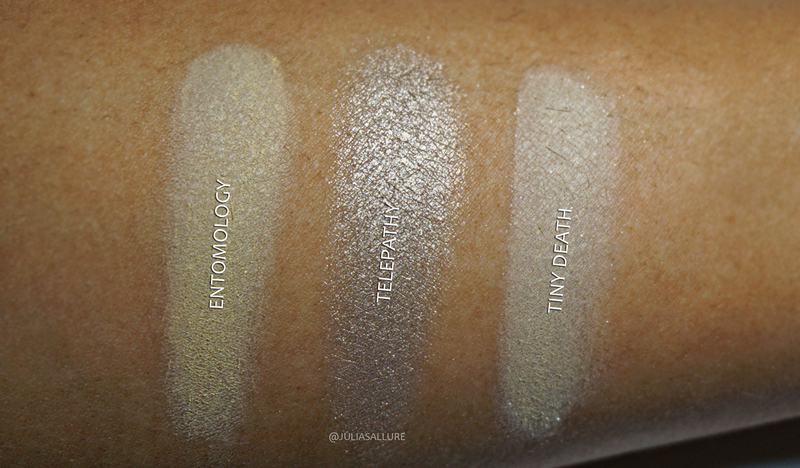 I especially love the matte, yellow toned base shade “Entomology”. It’s the perfect matte highlighting shade. Pure perfection. I was seriously impressed with the pigmentation of these shadows. They are so buttery and extremely pigmented. I really did not have to try hard to get the swatches to show – it was a breeze. A warning is that the shadows are extremely buttery and SOFT, so with that comes a bit of fall-out but nothing too crazy. The blendability is also amazing with these shadows. I really adore this palette. The colour that sold me to it was the shade “Wrath”. You know me and my warm/burnt oranges. This shade is not completely matte but it has a slight satin finish. 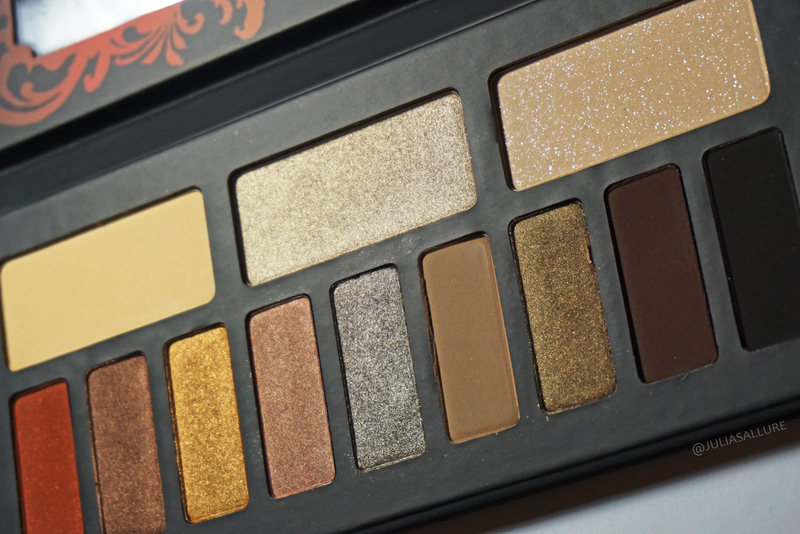 I love this her eyeshadow palettes, seriously pigmented. 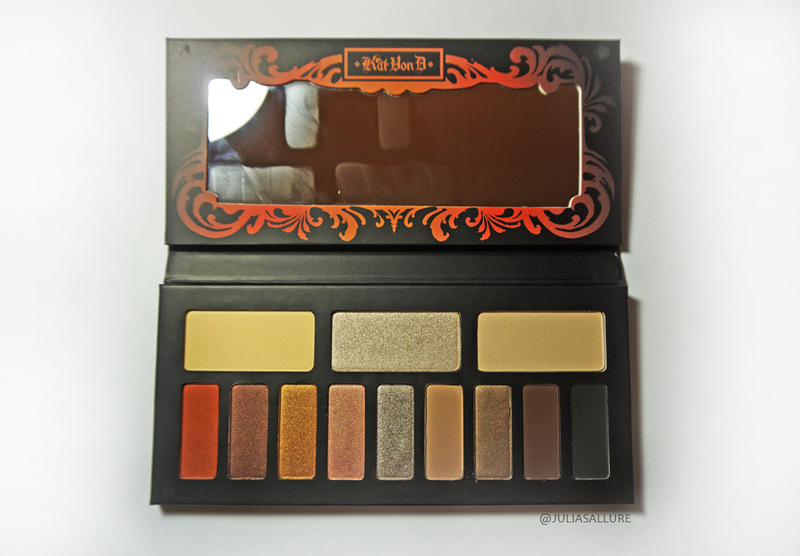 Still one of my favorite palettes! This is gorgeous! Must have for summer!